Start scanning user uploaded content and files within minutes. 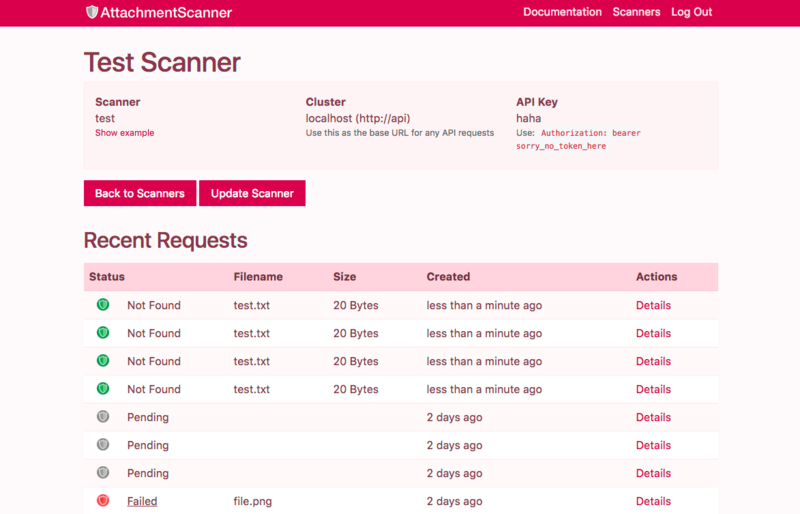 Our JSON API is easy to integrate and quickly lets you scan without overloading your servers. Scan as many attachments as you need to for Viruses, Malware, Phishing, SPAM and more. Our attachment scanner scales to handle as many files as you need when you need them. We have clusters available in the U.S. and Europe. You can also launch dedicated scanning appliances in any region you need. We've built our attachment scanning appliances to be secure by default. We use HTTPS encryption for transfer, AES encryption for files at rest and take security very seriously. We can also provide a range of options, included dedicated instances. 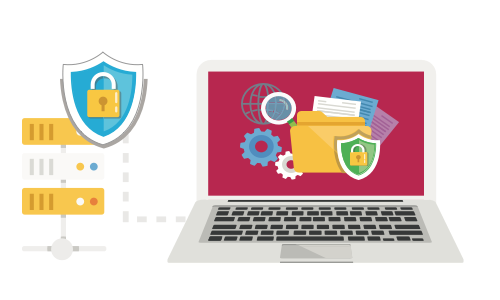 Dedicated instances can be placed within a specific cloud region or your own environment to keep your content safe. 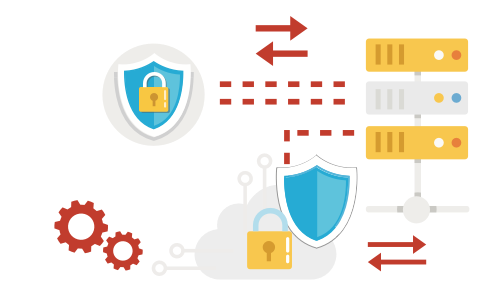 Our cloud-based API makes it really easy to scan for viruses and malware in your application. Whether you're running Cloud or On-Premise we can handle as many requests as you can push. It's possible to scan in AWS, Azure, Google Cloud or any other provider. We can also scan your file storage buckets, for example Amazon's S3 automatically with each new file that's uploaded. Our JSON API works with regular HTTPS POST requests. Whatever your preference we can take URLs or direct file uploads and scan them. We'll even call your servers when the scan is complete if you don't want to wait for the result. We store your scan history so that you can check the progress of your scans. Our dashboard allows you to see matches and details of the scan including the filename, the size of the attachment and a unique hash to identify the upload version. © 2019 attachmentscanner.com. AttachmentScanner is a product of Dynamic Edge Software Ltd. Registered Company 7444971 in England and Wales.